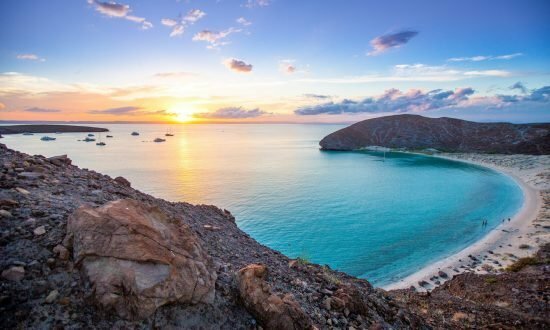 Dream Yacht Charter’s newest base in La Paz, Mexico combines stunning desert vistas with world-class sailing in the Sea of Cortez. 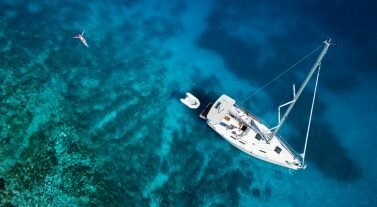 Our fleet is anchored at the exclusive Costa Baja resort, which features a stunning full service marina, dive shop, supermarket, and restaurants. In addition, there’s a fine golf course and beach club. A relaxed, easy-to-love port with a provincial atmosphere, La Paz is set amid ancient laurel trees and coconut and date palms, and surrounded by vast desert. Streets radiate from the city’s northwest facing waterfront, the Paseo Alvaro Obregon, which features a beautiful waterfront promenade. The city also features resort hotels, golf courses, fine restaurants, museums, and restored colonial-era buildings worth investigating before you set sail on an unforgettable Dream Yacht Charter vacation. All foreign nationals must have valid immigration documents–including, a passport, and a Forma Migratoria Multiple (FMM) or temporary or permanent resident card or a tourist visa. Failure to present an FMM or other valid immigration documents when checking in for an international flight departing Mexico can result in delays or missed flights. U.S. citizens need a passport (with one blank page for the entry stamp) valid for 6 months, and a tourist entry permit (FMM) to enter Mexico. There are special document requirements for dual Mexican/American citizens, particularly minors. If you have questions about required documents or entry and exit requirements, please call the Mexican Counsel General’s office in Los Angeles, CA or visit your nearest Mexican embassy or consulate. Tourists may bring in personal effects duty-free. Mexican customs regulations allow, in addition to clothing, personal effects that include 1 camera, 1 personal computer, 1 CD player, 5 DVDs, 20 music CDs, and 1 cell phone. Even if duty-free, tourists carrying such items should enter the “Merchandise to Declare” lane at the customs checkpoint. Travelers must pay any assessed duty on items in excess of these allowances or risk having the items seized. A maximum of $10,000 (or its equivalent in pesos) in any combination of cash, checks, money orders, or any other monetary instrument must be declared when brought into or taken out of Mexico. Animals, agricultural products, and all medications also must be declared upon entry. Importation of firearms and ammunition requires a permit. Prohibited imports/exports include the following: Narcotic drugs of any kind (in any form, including seeds), marijuana (in any form, including seeds), live predator fish, fresh and cooled/frozen Totoaba fish, turtle eggs or skin, certain insecticides, and antiquities. No vaccinations are required, but it is recommended that you keep your vaccines up-to-date when traveling. Bottled water is recommended, as is the liberal use of a strong sunscreen or sunblock. Medical marijuana prescriptions are invalid in Mexico, and possessing or using marijuana in Mexico is a serious drug-trafficking offense. Travelers should avoid the possession or use of all controlled substances while in Mexico and are advised to carry a copy of their prescriptions to prove that their medicines are for personal use. It is illegal to purchase any prescription medication without using a prescription written by a legitimate Mexican physician. Dial 066 from anywhere in La Paz for police, fire, and emergency medical services. 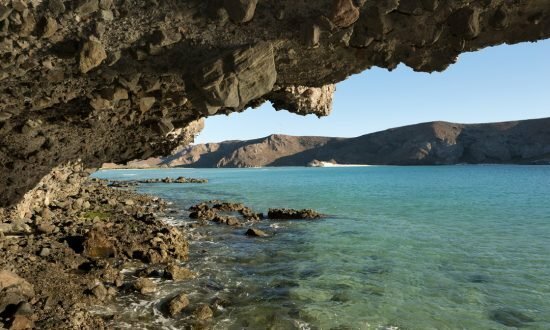 Although the U.S. State Department warns U.S. citizens about the risk of traveling to certain places in Mexico due to threats to safety and security posed by organized criminal groups in the country, La Paz is one of the safest parts of the Baja California Peninsula and Mexico. As with travel anywhere in the world, you must exercise good judgment. Always be polite. Avoid wearing expensive watches or jewelry when you are on the street. Do not flash large sums of cash. Carry your passport (or a copy) with you. Store other important documents, extra credit cards and large sums of cash in a secure location. Baja’s legal drinking age is 18. Most bars and nightclubs don’t have an official closing. Avoid walking in downtown La Paz in the early morning hours or whenever the streets are deserted. Drinking openly on the street is risky. If you plan to dine out or party late after dark, ask the bar or restaurant to call a cab for you when you are ready to leave. Currency: Peso, but U.S. Dollars are widely accepted; keep small denominations of pesos on hand for use in more remote areas. Credit Cards: Visa and MasterCard (widely accepted); keep the company’s 800 number recorded in a separate place for reference and never allow your credit card to be taken out of your direct sight. ATMs: ATMs are available, but they dispense only pesos. Airport: General Manuel Marquez de Leon International Airport (La Paz International Airport); airport-to-base transfers are recommended, and travel time is approximately 14 minutes. Taxi: Taxis are available at the airport and downtown. Most taxis don’t have meters; always ask the driver what the fare to your destination will be before you get in the car. Rental Cars: Most major rental car companies are present. To get the best rate, plan ahead and make your reservation at the company’s local office in the United States, or use the company’s website. Buy the liability, collision and comprehensive insurance coverage for the rental car to avoid any lapse in coverage. Before accepting a rental car, report any existing marks, dents or other existing damage on the form. Confirm that there is a spare tire and jack in the trunk. Have the check-in representative sign your damage control form when you return the car. Temperature: Average temperatures January-March range from 65°F in July to 73°F, April-June 80°F to 87°F, and October-December 86°F to 71°F. Seasons: Although the climate is very comfortable for most of the year, summers are hot, with average temperatures ranging from 90°F in July to 97°F in September. Summertime highs can climb over 100°F, with water temperatures ranging from the 80s to more than 90°F. Over 90% of La Paz’s rain falls during the summer months. Special Sailing Considerations: Most Pacific basin tropical storms that form during hurricane season typically pass to the south of La Paz and southern tip of the Baja Peninsula. Sailors preparing to depart from a Mexican harbor must visit the harbormaster and leave a detailed trip plan, including intended destination and crew and passenger information, before departure. Day 1: Ensenada Grande is a popular anchorage with turquoise waters, rocky cliffs, and white sand beaches. Hike through the arroyos, lounge on the beach, and snorkel along the rocky shoreline. Day 2: Located just off the northwest tip of Isla Partida, Los Islotes is famous for its sea lion rookery. The National Park office has installed mooring buoys for dinghies on both the northern and southern shores. To the southwest you’ll find El Bajito, a popular diving spot teeming with tropical fish. Take a short sail to San Evaristo, a quaint fishing village, to spend the night in a well-protected anchorage. Day 3: White sand beaches, red rock cliffs, and crystal blue water make the crescent-shaped bay of Isla San Francisco another popular anchorage. This picture-perfect cove offers sublime hiking, snorkeling, fishing, and beaches. The bay is large enough to accommodate plenty of boats, and has a good holding ground. Day 4: The anchorage at Amortajada is located on the southwestern tip of Isla San Joe. Even if you don’t plan to stay the night, a dinghy or kayak trip through the mangroves to the main lagoon is a must. Remember to bring binoculars – it’s common to spot egrets and herons. Day 5: Bahia San Gabriel is a large, beautiful bay and offers a brilliant white sand beach – one of the best on Isla Espiritu Santo. A trail through the small arroyo on the southern end of the beach links Bahia San Gabriel to this enormous beach. Looking for some underwater scenery? The rocky western shore of Punta Prieta and the southern point of Ensenada de la Dispensa are prime snorkeling areas. 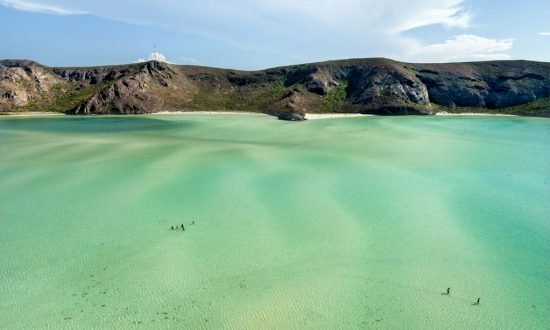 Day 7: Make a short sail back to the Dream Yacht base in La Paz before 10AM, dreaming up plans for your next cruise through this lush Mexican retreat. Day 1: Looking for some underwater scenery? The rocky western shore of Isla Espiritu Santo at Punta Prieta and the southern point at Ensenada de la Dispensa are prime snorkeling areas – the perfect way to begin your cruise after departing from the base at La Paz. Anchor at Caleta Partida or Ensenada Grande overnight and rest up – your adventure has just begun! Day 3: Nopolo is made up of small, isolated fishing villages. You can anchor in the Northern or Southern Lobes of Nopolo and dinghy to these charming spots. You’ll be protected from northerly winds and free to explore this sweet retreat. Day 4: Puerto Gato’s anchorage is a bit limited, but it makes up for this with stunning diving and snorkeling. You won’t want to miss the red rock formations and white sand beaches. Day 5: Ample anchorage, snorkeling in the bay, and even a cave painting nearby – Bahia Agua Verde has it all. Puerto Escondido is nearby, and we recommend spending the night there. It’s easy to pick up fuel and water, and provisions are just a taxi ride away in Loreto. Day 6: Visit the southern point of Del Carmen Island and stop at Danzante Island, too. After a full day, sail back to Bahia Agua Verde for the night. Day 7: Eat a hearty breakfast and make your way to San Cosme Island, spending the day there. Then cruise south and stay overnight at Puerto Los Gatos. Day 8: Make your way to the anchorage at Amortajada, located on the southwestern tip of Isla San Joe. A dinghy or kayak trip through the mangroves to the main lagoon is a must, and remember to bring binoculars – it’s common to spot egrets and herons. Day 9: White sand beaches, red rock cliffs, and crystal blue water make the crescent-shaped bay of Isla San Francisco another popular anchorage. This picture-perfect cove offers sublime hiking, snorkeling, fishing, and beaches. The bay is large enough to accommodate plenty of boats, and has a good holding ground. 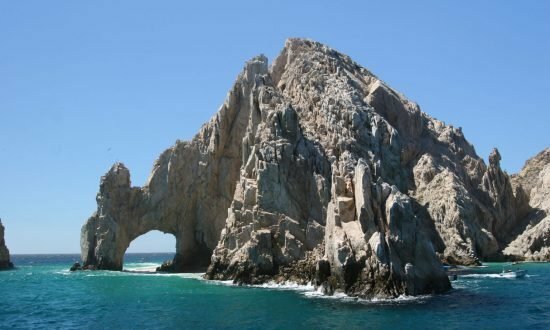 Day 10: Ensenada Grande is a popular anchorage with turquoise waters, rocky cliffs, and white sand beaches. Hike through the arroyos, lounge on the beach, and snorkel along the rocky shoreline. On Isla Espiritu Santo, a trail at the southern end of Bahia San Gabriel beach links you to yet another white sand paradise. Day 11: Explore Cardenal and Candelero on Isla Espiritu Santo before returning for another night at Ensenada Grande. Day 12: Cruise around Puerto Ballena, stopping at Ballena Island, Gallo Island, and Gallina Island, which all sit in well-protected turquoise waters. Day 14: Make a short sail back to the Dream Yacht base in La Paz before 10AM, dreaming up plans for your next cruise through this lush Mexican retreat. Aero Mexico has the most daily flights into La Paz International airport, with the last one arriving at 11:27pm www.aeromexico.com There are several other domestic airlines that will route you to La Paz through LAX or Mexico City. Airport to Base Location at Costa Baja by transfer (recommended) is about 14 minutes. All major credit cards are widely accepted. Although American Express is less accepted. It is a good idea to have a few thousand pesos as well for those occasions where no credit cards are accepted. ATM’s provide the best exchange rates and are widely dispersed. There is one at the marina. There is a Walmart on the way from the airport and several excellent supermarkets just 10 -15 minutes away from the base where you can get great provisioning. There is also a small market at the base where you can get some essentials called the Breeze Market. It opens at 7am and closes at 10pm. There are excellent and very inexpensive small meals and espresso drinks available there as well as snacks and cold beverages of all types. There is an excellent dive shop on premises right next door to our base location. Fun Baja is the name of the shop, They do rendezvous diving, and will rent equipment if you prefer. There are three excellent restaurants at the base. Azul Marino boasts indoor and outdoor seating, a serene water-front setting and a robust menu with fresh world-class seafood, thin crust pizza, and daily specials. La Barcaccia is CostaBaja’s choice for fine Italian food and spirits. La Barcaccia’s menu features a variety of authentic Italian dishes, pizzas and fresh seafood. Odayaka Sushi Bar has some of the best sushi anywhere. Most of the fish is locally caught right off the coast of the Baja Peninsula, the food is inventive, creative, delicious and above all incredibly fresh.